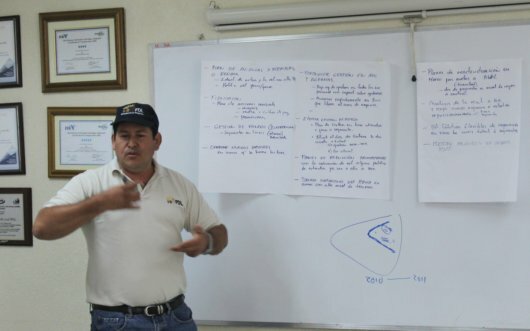 Microfinance in Nicaragua is facing a very difficult situation. The combination of the 2009 economic crisis and bad national policies has almost demolished ten years of work by microfinance institutions (MFI) in Nicaragua. Financial services outreach to micro businesses has reduced 40% in the last two years, affecting over 100,000 low-income families. In this type of situation, innovation is the only real option. Getting out of the box is a requirement for coming up with innovative ideas. Each manager had to imagine him or herself as the CEO in this position. In the plan, the CEO had to explain briefly the changes he or she would look for and the first set of actions that should be undertaken. The managers also were asked to play the role of Board Members who were responsible of reviewing the proposals of the new CEO. Finally, they were asked to identify the best options and synthesize some conclusions. The intention was to mobilize the collective intelligence of managers who were experiencing the crisis from different positions. In addition to being fun, the exercise made it possible for people to express their knowledge, thus offering diverse ways of understanding this crisis. In a few hours we made a portfolio of options to address the crisis, enriching our understanding of the subtleties of the crisis in the MFI. Photo and post by Sebastiao Ferreira. This post is number 8 of 52 in Sebastiao’s 52-week photo journal.